Good Morning all! It's Thursday, we're almost there! Here's my fun little card for today. who are on Create & Craft TV this Friday! at the back's face! lol! The design apers are from the CD, as is the greeting. a die cut snowflake, button & twine. & the snowflake, with a Marianne's Creatable die. Don't forget to tune in for the show if you can! Fun christmas card Dawn !! 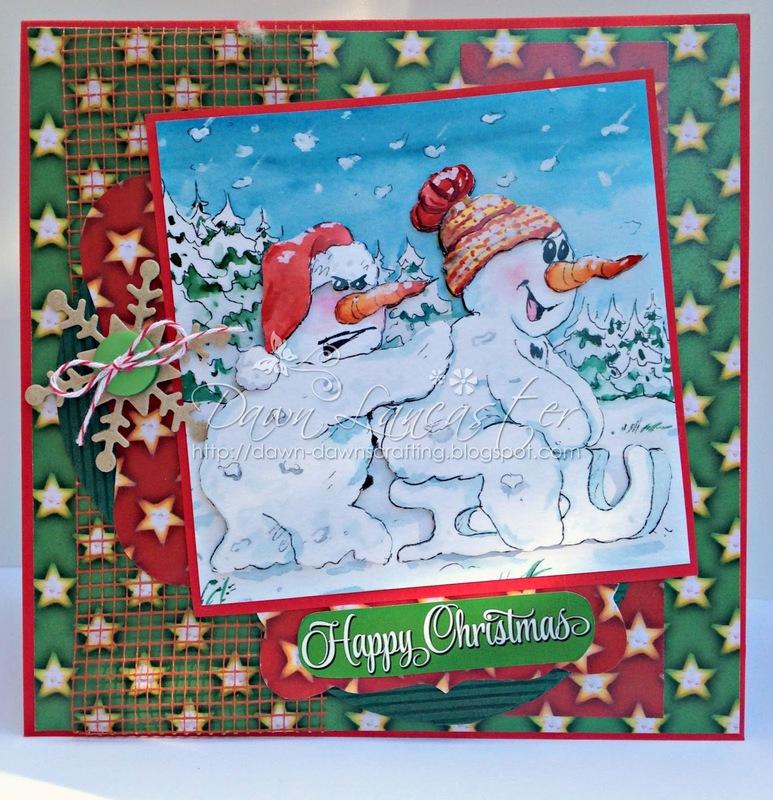 Another fabulous Christmas card Dawn, such a fun image and great design. Love these snowmen! 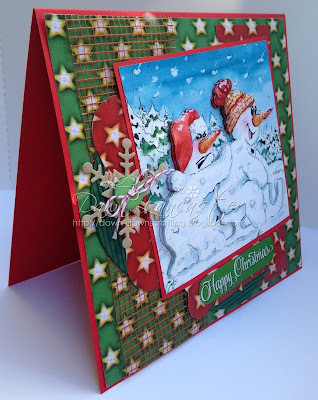 Fabulous Christmas card and loving the papers and texture. Lol what a fab fun card....love his face!! Super card Dawn. Great image that made me smile. Beautiful card, Dawn. 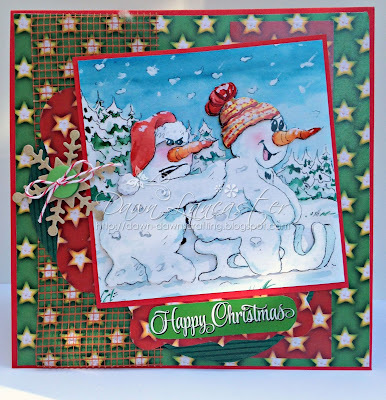 I love your combination of papers and textures - and your snowmen image is the cutest! Thank you for joining us in the Through The Craft Room Door challenge this week. 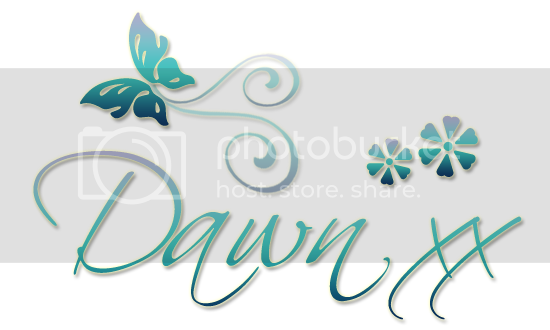 Love your card, Dawn, with all of it's layers and colors. The snowmen image is just the cutest! Thank you for joining us in the Through The Craft Room Door challenge this week. This is super cute, love the snowmen, and the colors. Awesome! Thanks for playing our challenge at Lil' Patch of Crafty Friends! Oh, was für eine zauberhafte Karte. Die Schneemänner sind große Klasse. Vor allem der, der schieben muss. Der würde wohl lieber auf dem Schlitten sitzen. lol , lol ! Ganz große Klasse das Motiv. Oh, what a fun image! Thanks for sharing and joining us at Inspiration Destination Challenge Blog. Hope to see you again and good luck! Dawn this is a beautiful project with wonderful attention to detail and perfect for our 15th ‘ANYTHING GOES’ challenge. Thanks for sharing your talent with us. Good luck. This is too cute! Love the expressions on the snowmen. So glad you shared it with us for the Scrapy Land Challenge too. I love the look on the Snowman pushing the other snowman up the hill, it is perfect and says it all!! Love the mesh on your card too! Thanks for playing along with us at Scrapy Land Challenge #23! Such a great idea to make it go "uphill"! He certainly doesn't seem happy at all! Love all of the papers you used for this. Super cute...love the image and the texture/dimension you achieved. Thanks for playing along with us at Lil Patch of Crafty Friends. Hope to see you again soon. Beautiful Christmas card. Thanks so much for joining us at Crafty Hazel Nuts Christmas Challenge Extra.